An Honest Giveaway. What’s Your Poison? Hello, guys! It’s been a while. And I’m not sure anyone even visits here anymore. ::crickets:: But I made a promise to the only brand I’ll shill for, and so here goes. We are huge fans of Honest Kids Juices. So much so, we made them permanently available to our kids on our breakfast bar. They sit to the left of the tea and coffee fixins; they’re directly above the wine and liquor; they’re caddy corner to the seltzers and soda. Yes, we currently have our breakfast bar set up like we manage a bed and breakfast. I guess that’s kind of weird. 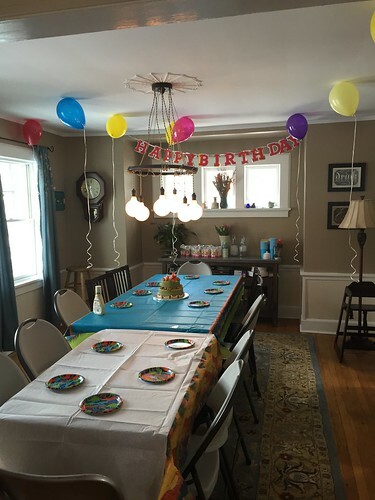 But I set it up like that for Elliot’s birthday party and both Toby and I thought, “Huh. Why not leave it like this for a while? It’s rather useable this way.” So it’s been that way ever since. But I digress. Anyway, Honest Fizz! So, the folks over at Honest Tea sent me some free samples of their new, sugar free soda. And they want to give away two cases. Now, I’ll be frank with you because I always said that I would be: I don’t like fake sugar. I’ll take the real stuff any day, all day. I am a baker, after all. And I make and sell lollipops. I have TWO very large glass jugs of sugar permanently on my kitchen counter. (True story!) What I’m trying to say is: I use A CRAP TON of sugar. I buy it in bulk. But some folks don’t like sugar for a plethora of reasons and cut back on their sugar intake. I get it! And I admire it. So, that’s where this soda comes in. Honest Fizz is made using organic stevia and organic erythritol. They offer 12 different flavors all with zero calories. And I want to give you a case! Free stuff, man! So, if diet soda is your thing then I would love to offer you a case. My husband drinks it and particularly enjoyed the Honest Fizz Root Beer. All you have to do is tell me in the comments what you’d like to see on our breakfast bar when you stay with and we pamper you. You have until Sunday evening at 6 PM to play. I will pick two people at random at that time. IMPORTANT! Don’t forget to leave me a valid email address! So, here’s my question to you: what’s your poison? Previous Post Because I Live In An Asylum. The breakfast bar is a great idea, I might have to use that…..all I need is coffee on my breakfast bar. It’s the first thing I do in the morning. With three kids, I can’t function without it! Amen to that, Liz. Coffee in the morning, wine at night. Sigh. Christine: I don’t know! I’ll ask and get back to you. i live in the UK now, so totally not eligible but wanted to say a) still totally here! And b) the poison used to be diet Coke but gave it up in the past few years- currently live on sparkling water (for non-alcoholic) and wine or craft beer (for after hours). I want to send you guys something! Maybe I’ll send you a handwritten letter since I can’t have them send you soda. Sigh. Sorry, friends from afar! A bottle of coke or a mocha. I indulge in the mochas more than the cokes, but tell myself it isn’t as bad because of the calcium I’m getting from the milk. I will occasionally indulge myself with a…orange soda. Fanta, to be exact. It’s so shameful. But it’s so bad, in all the right ways. I blame those glucose tests from my pregnancies. They always gave me orange, and something about that syrupy, chemical laden drink triggered an abnormal craving. Pregnancy ruined me. I still visit your blog, by the way! I love your writing. I’m a sucker for cream soda and rootbeer. I absolutely get the appeal.